Construction for Freddy’s is expected to be completed by Dec. 15, according to the building permit. Total value of the 3,010-square-foot-building is estimated at $615,000. The earliest Cheddar’s is expected to be operating is Nov. 14, according to documents filed with the Oconee County Utility Department. Access to Cheddar’s will be possible from the parking lot of Freddy’s and vice versa, and initial construction for the two restaurants is moving in tandem. The permit for Freddy’s was issued to Athens Custard with a Wichita, Kan., address on Aug. 15. The permit for Cheddars was issued to C & P Restaurant Company of Macon on Aug. 11. That permit does not list a completion date. The applicant does not always pick up the permit when it is issued, and the Oconee County Code Enforcement Office normally does not release the permit documents to the public until the applicant receives them. I picked up the permit documents for Freddy’s on Friday. On Tuesday, the Oconee County Board of Commissioners gave tentative approval to a contract for design work for a new roadway that will open up additional land near Epps Bridge Centre for development. Final approval is set for Tuesday night. The roadway, being called Parkway Boulevard Extension, would bring traffic from Epps Bridge Parkway just after it crosses into Oconee County from Athens-Clarke County to the Oconee Connector just opposite Epps Bridge Centre. The goal of the project is to make accessible land behind Lowe’s and Wal-Mart for future commercial development. Parkway Boulevard now runs from Epps Bridge Parkway to Kohl’s but is blocked off at that point. The new road would turn back to and connect with the new Oconee Connector, crossing 114 acres owned by the Evelyn and Frank Gordy Family and 41 acres owned by Rod and J.L. Wright as well as three other parcels. The timing of the Parkway Boulevard project remains something of a mystery. Public Works Director Emil Beshara told me last Tuesday night that he was instructed to get the bids for the design work, with the deadline for submission on Aug. 7, but he would not tell me who gave him that directive. Beshara said the project is not on any of the county roadway project lists, but he also said it has been discussed by BOC members in the past. The contract was tentatively awarded to low bidder Abe Consulting, 2410 Hog Mountain Road, just west of Butler’s Crossing. That bid was $96,925. The rumor has been circulating for at least a couple of years that Costco, a membership-only warehouse club that competes with Sam’s Club, is considering opening a store in the area, and some speculation now is focusing on the area to be opened up by the Parkway Boulevard Extension. 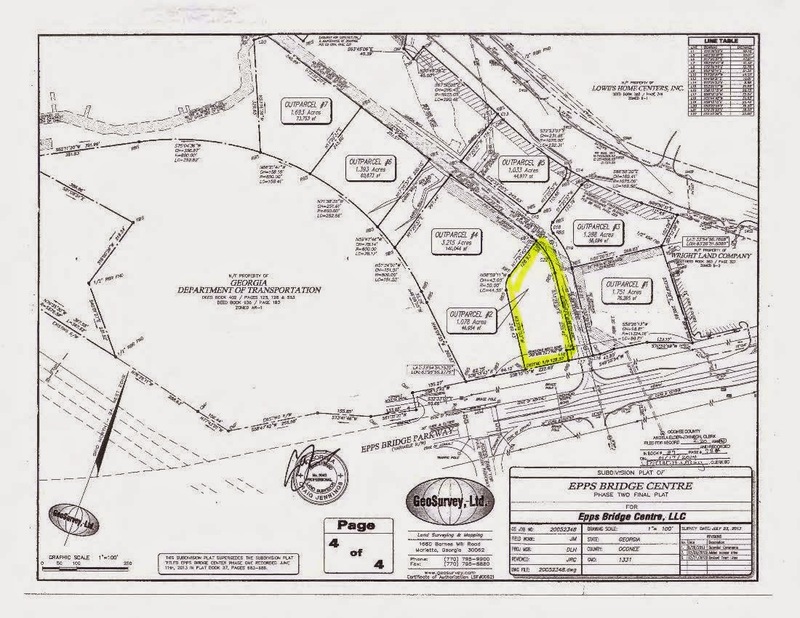 The Oconee Enterprise reported in last week’s edition that Maxie Price, owner of a cluster of properties bordered by SR 316, the Oconee Connector, Mars Hill Road and Virgil Langford Road, said he had unsuccessfully sought to get Costco interested in his properties. Price said he believes Costco remains interested in locating in the area. Price made his comments in a hearing before the Oconee County Board of Equalization, which hears appeals from taxpayers regarding property assessment. I was not at the meeting, but I was able to confirm that Price made these comments from two of the three members of the Board of Equalization. Costco is headquartered in Issaquah, Wash., near Seattle. The Epps Bridge Centre’s 12 outparcels stretch along both sides of the Epps Bridge Parkway entranceway to the shopping mall and along the mall’s frontage with the Oconee Connector. At present, only one of those parcels has tenants. It is occupied by Sleep Number and Vitamin Shoppe. The permit for that building was issued in July of last year. In discussions before the Planning Commission and the Board of Commissioners, mall developer Frank Bishop of Atlanta has indicated that restaurants would be the most likely tenants of the outparcels. Bishop encouraged the Board of Commissioners to put the liquor-by-the-drink referendum on the November ballot to help him lure restaurants to those properties. Most of the core of the Mall is occupied, but at least nine small storefronts had signs on them today indicating they were available for tenants. A tenth, designated as future space for Children’s Place, remains unoccupied. Space remains available next to Marshall’s for construction of a building for another large retailer. According to Oconee County Tax records, all of the land in the shopping mall except that occupied by the theater remains in the hands of Bishop’s Epps Bridge Centre LLC. An attached piece of property behind the theater also is owned by Bishop but is undeveloped.